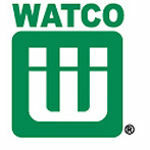 The Watco 20200BS Biscuit Turnstyle Assembly is part of the Turnstyle Series. This assembly includes one of each of the following parts: (10920) TL Clevis for TS, (10932) TS Brass Hex Nut 6-32, (10934) TS SS Mach. Screw 6-32, (10952) TL Linkage Nut, (10953) Top Linkage Eye Bolt, (20020CP) TS OF Mount with Prongs, (20041) TS Turning Pin, (20042) TS Turning Pin Sleeve, and (20043) Cable Stop.